David Attenborough’s Great Barrier Reef Dive VR is an award-winning fully immersive virtual reality experience produced by Alchemy VR. These April School Holidays, kids can eat FREE at Rosemont Hall. This school holidays, Rosemont Hall will be launching their first ever kids menu. The Asian-influenced kids menu retains the street style Thai of Sunny’s Shop and Hong Kong Cantonese of Mr Chans – but for the little ones. Parkfest is a FREE festival for young people 12 – 25 years of age who study, work, play and/or live in the City of Adelaide to recognise how awesome all young people in the city are. Young people from all backgrounds are welcome. 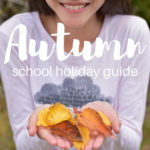 Find all the best activities & ideas for the Adelaide Autumn School Holidays. Back by popular demand during the April School Holidays, the Adelaide Gaol has developed a new Escape Trail that will have you scratching your head for hours. New clues, new locations and a whole new challenge. Will you be able to crack the code and escape the gaol? South Australian Youth Week celebrates young people, showcasing their extraordinary talents, contributions and achievements. Kids Eat Well for Free is back at Jamie’s Italian restaurants across Australia this Easter school holidays. Australian Sports Camps provide interactive and fun skills programs to ensure that participants improve their game and their love for their chosen sport. These extremely comprehensive camp programs run for three days and are ideal for players aged between 6 and 16, of all abilities. A unique and exhilarating experience designed to put you in the Captain’s seat of a Boeing 737-800. In a fun and exciting environment, you will be taught the basics of taking off, flying and landing one of the most popular passenger airliners in the world, by professional pilots. Let your little one’s imagination and creativity run wild when North Adelaide’s Eighty Eight O’Connell Street site transforms into a gorgeous Goblin Garden. Kids School Holiday Fun – Presented by ABC Kids Play Zone and Russian Community Centre. Need some fun for your kids during the April school holidays? Kids School Holiday Fun Days will have a balloon twisting workshop, kindergym, arts and crafts – all in one session. Spark your creativity and explore and draw out the imagination of the community. Art on Parade is a self-guided trail where you will discover an exciting selection of sculptures, paintings, drawings and photographic works on display in retail and commercial businesses along The Parade, Norwood. Find all the best activities & ideas for the Adelaide Autumn April School Holidays. Grab your picnic blankets and beanies, Nature Play SA are bringing you an unforgettable family festival in the majestic Kuitpo Forest. Enjoy two days of nature play, celebrate the school holidays and set the scene for wild Autumn adventures and memory-making with family and friends. Circus Rio will be in Adelaide for the first time ever from 5 April – 12 May 2019. Watch the incredible performers of Circus Rio take the whole family on a journey around the world, beginning at the famous Carnival of Rio de Janeiro. Sand Sculptures return to Adelaide with ‘The Jungle Book in Sand’ re-homed undercover to the Flour Shed at Harts Mill in Port Adelaide. A sharp mind and a thirst for adventure… qualities that you’ll need to display if you want to prove yourselves worthy to enter The Secret Order of Quill & Compass. A secret society, hundreds of years old, who honour renegade thinkers, rebellious intellectuals and adventurous rogues. The City of Charles Sturt is inviting all children aged 2 – 17 years to try a new sport and get involved in the FREE School Holiday Sports Program. The program will be held during the April school holidays from 13 to 28 April 2019. The Adelaide Central Market is thrilled to be opening a free public exhibition celebrating its 150th birthday. What's on for Adelaide Families & Kids Copyright © 2019. All Rights Reserved.